Hello! 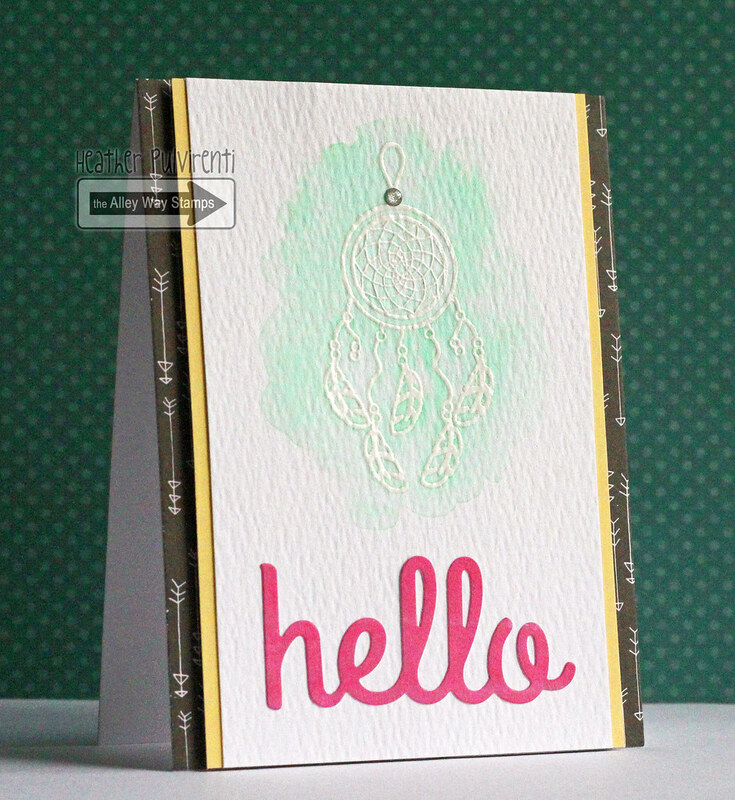 I'm popping in to share a card I created using the beautiful dream catcher from the Alley Ways Stamps' Wigwam set. 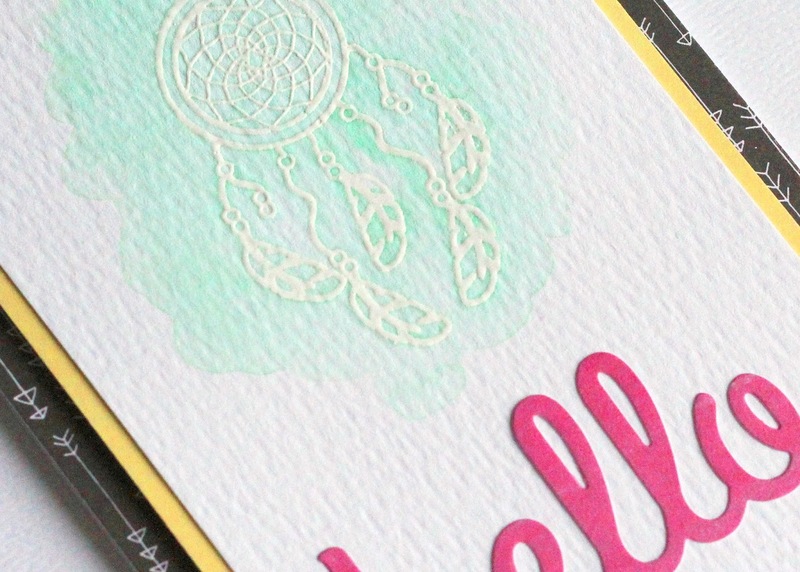 To create my card, I started with a piece of watercolor paper, and heat embossed the dream catcher in white after stamping with versamark ink. I then covered the embossed image with water, and added dabs of distress ink. To speed up the drying process, I zapped the image again with my heat gun. I then covered a white card base front with black patterned paper. Next, I adhered the watercolor resist image to a yellow CS layer, then attached it to the card front with pop dots. To finish up, I die cut my sentiment from pink patterned paper, and adhered it to the card base below the image. There are so many awesome things about this card....Watercolors, gorgeous image and arrow paper! LOVE!